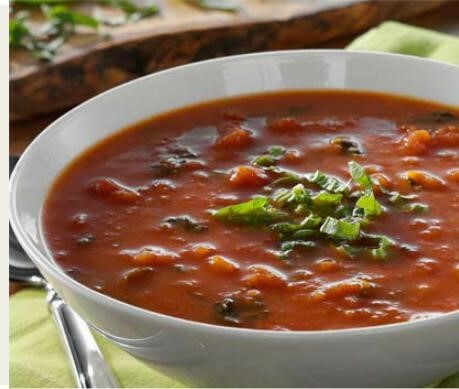 Very flavorful, easy to prepare soup recipe. Soups are great for freezing for later use and are always great starts to any meal! In a skillet, heat oil over medium heat. Add onions, and cook, stirring, until softened, about three minutes. Add garlic, oregano, and salt, and cook, stirring, for one minute. Transfer to slow-cooker stoneware. Add stock, and stir to combine. Add butternut squash, and stir to combine. Cover and cook on low for six hours or on high for three hours, until squash is tender. While the soup is cooking slice the red pepper in half, lay on a baking sheet outside skin up and place in the pre-heated oven for approximately 20 minutes. Until the skin start to blacken. Remove from oven, allow to cool and cut into thin slices. Once the squash is tender, slice the stem from the jalapeno pepper, slice in half and scrape out the seeds. Add the jalapeno pepper to the slow cooker.